My goodness it's been a long time coming! We're finally wrapping up the Annihilation 21st Century Tournament (you may have previously known it as the 2018 Spring Tournament) this Saturday at 5am Shotbow Time (US Central). Our competitors are TBC (Red), Oblivion (Yellow), Love (Green), and doors (Blue). We're very excited to see how this last match plays out and who will get crowned the Champion of Annihilation. So please, click that "Reminder" button on the YouTube video and prepare for a match to remember! Reminder: Competitors are expected to arrive at 4am. The match will begin at 4:30am and there will be a half-hour stream delay to prevent cheating. In a few days, SMASH's 6th anniversary will be upon us and with it there will be several changes and happenings which we are keen on sharing with you! On January 22nd, 2013, SMASH was released to the public and has since become one of the classic Shotbow games that is still around on this day. As celebration, we've organised a small 'throwback event' which will take you back to the old days of SMASH, read on to learn what we have in store for you! We've reverted back to the old knockout messages - they will once again contain ELO values! We changed the post-match chatmessage back to its old design. Gone are the comfortable popping sounds whenever an item spawns near you, back is the horrendous and constant dinging sound upon item spawning. 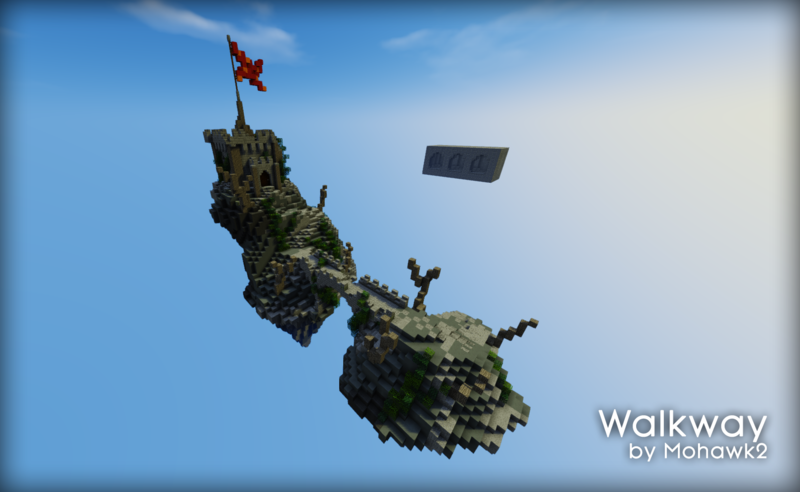 Besides returning maps, we will also be welcoming a new player-built map: Walkway by Mohawk2! Big news! From Tuesday, January 22nd until Sunday, January 27th, SMASH will be hosting a x1 XP booster. This means that depending on the presence of a premium player on the server, you can get a multiplier up to x4. That is 60xp per kill in a regular match and 120xp per kill in a ranked match! As well as a booster, we will also have a huge discount on ALL SMASH XP packages in the xp store. Knockout sounds, particle trails and the party pass will all be discounted by a whopping 60%! Even the outrageously expensive particle trails that would usually cost 400k xp will be included in this discount. In response to several instances where we have been asked if it was possible and if it could be added, the SMASH Party Pass will soon be available for purchase in the Shotbow Buycraft store in order to skip the 20k XP grind. Discounts will come into effect on January 22nd. On a more personal note, I would like to thank our veteran players, regulars and those who just hopped on for a few games to kill time, it's been an absolute pleasure to be working with a community as close as the one SMASH has. What feedback and support we have been given by you has really helped us make changes for the better and I am looking forward to leading this game for a very long time to come! On behalf of the entire SMASH Team, thank you, celebrate with us and we'll hopefully see you in-game! MineZ Revelations is finally back! Time between episodes will be a little bit longer, but it shouldn't be a two year wait. It will be over a month, possibly two. But stay tuned! We're committed to finishing this. Huge props as always to Halo for the script, Hippo for the voice, Fridge for production, and the many localizers who dedicate their time to making these scripts available in multiple languages. An episode like this is a lot of hard work, and it's impossible to say just how much we appreciate it.